It was a big year for Cheetos food collaborations. 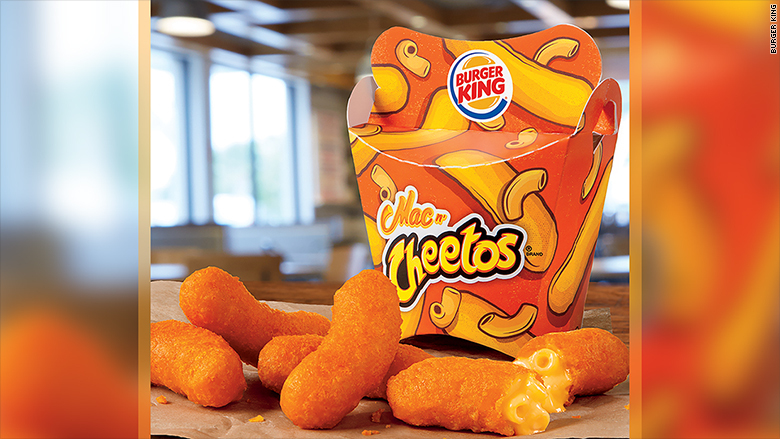 Burger King, owned by parent company Restaurant Brands (QSR), launched two Cheetos-flavored products: Mac n' Cheetos and Cheetos Chicken Fries. Taco Bell, owned by Yum Brands (YUM), launched a Cheetos Quesadilla in the Philippines.